This past Sunday, beloved guest speaker Lynne Hybels shared her powerful journey to becoming broken open for the sake of peace. You can read all about it and listen to her message here. Remember, Sunday is not the main event. Monday through Saturday, living and practicing these truths in our daily lives is the invitation we hope you feel led to lean into the most. With that in mind, here are a few Practice recommended resources to aid you along the way as you unpack what it means to be a contemplative activist in your life and how to be broken open for peace like Christ. A great place to start when unpacking our journey of being broken open for peace from last Sunday, is with the many wonderful resources that Lynne herself has provided on her passion for peacekeeping. Be sure to check out Lynne’s wonderful blog for original writing and insight into her advocacy and journey of being a contemplative activist for peace. This book explores and unpacks the message Lynne shared with us further as she shares her story of coming to know her true self in God. Created in honor of Mother’s Day, God our Mother is a liturgy that explores both the scriptures that speak of God in a maternal context and the limits of human language in describing an infinite God. 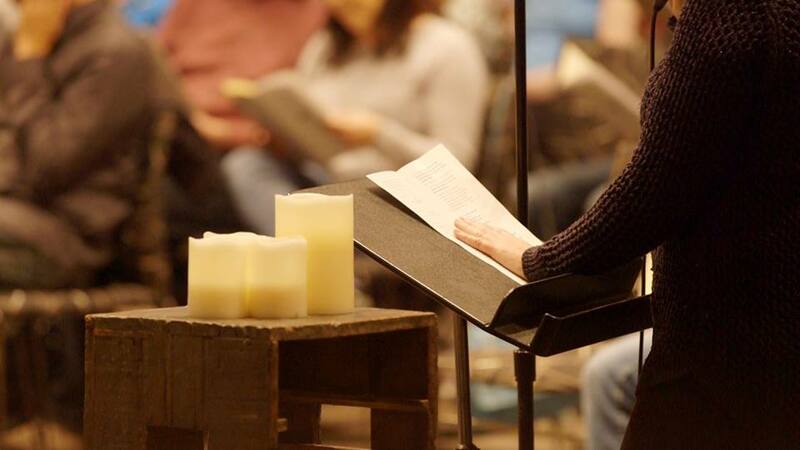 We sang a beautiful song during our worship last Sunday called, “Hallowed Be Thy Name.” This is part of a project created by The Liturgists featuring our good friends The Brilliance. We have two book recommendations surrounding Israeli-Palestinian peacekeeping for you in light of Lynne’s challenge to follow Christ into brokenness to find transformation. May these words take you deeper into your own personal invitation to make peace, wherever that may be in your journey. With all of the heat surrounding the Israeli-Palestinian conflict, even the most basic facts can be hard to grasp. How do we make sense of what we read in the Bible―and what we read in the news? In this Skeptic’s Guide, Dale Hanson Bourke sheds light on the places, terms, history, and current issues shaping this important region. Offering an even-handed presentation of a range of views on the most controversial issues, she provides a framework for American Christians to use in understanding why the conflict occurred, why it continues―and what remains to be done.